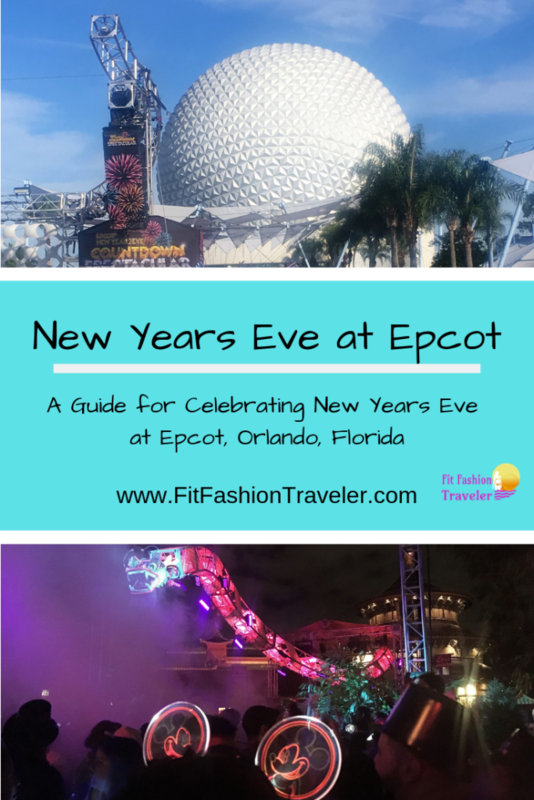 The main purpose of going to Orlando was to spend New Years Eve at Epcot. I think my love for world travel draws me to Epcot more than the other Disney parks. It features miniature cities (called pavilions) from eleven countries as a main attractions. While I also love Magic Kingdom and enjoy visiting Hollywood Studios and Animal Kingdom, if I had to pick just one park to visit it would be Epcot every time. 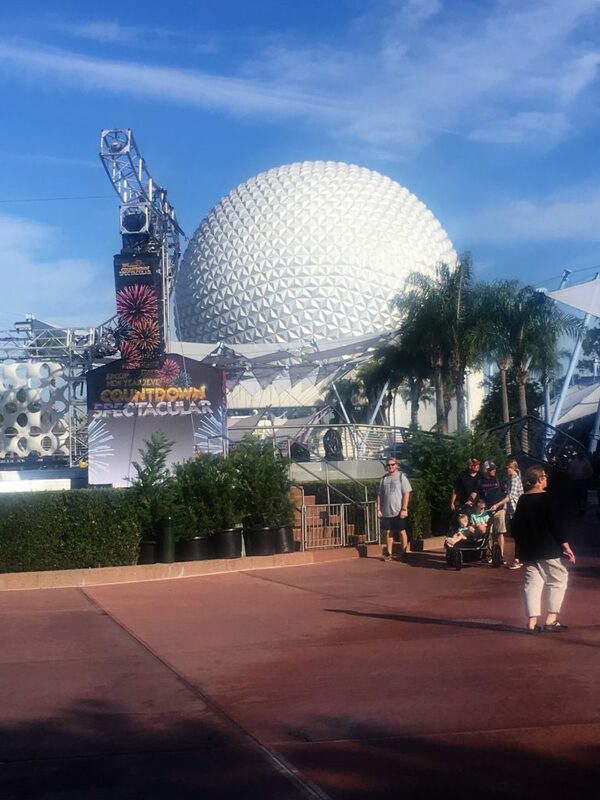 The lack of crowds at Epcot early in the morning surprised me. I took a picture of the iconic Spaceship Earth from the center of the park with no people in the picture! Unfortunately, when my dad and I tried to go on the Test Track ride, we learned where all the people were: waiting in line for the rides. The line for Test Track was four hours long, and the single riders line was two hours long. At that point I realized I would only get to go on one ride at Epcot that day. I chose the new "Frozen" ride. The "Frozen" ride is one of the most popular rides in the park. As a fan of the "Frozen" movie - and as a Norwegian - I was excited to go on the ride. The line was forty-five minutes long. 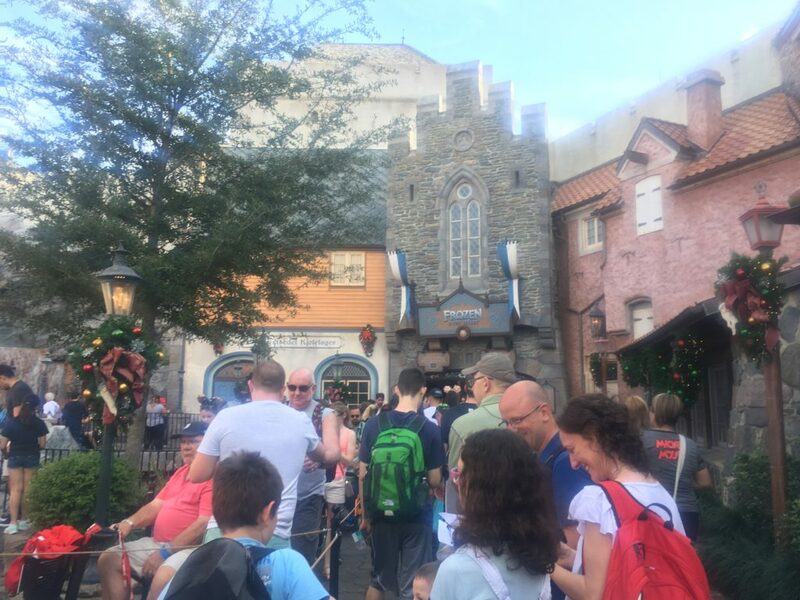 Guests in line wander through the castle, a village, and Oaken's Trading Post. Once on the ride, riders see scenes and hear songs from "Frozen." The ride was fun, but it was exactly the same ride as the Viking one that had previously been in its location! Having been on this ride multiple times before I was disappointed there was absolutely nothing new about it. Even the boats we rode in were the same Viking boats. The only difference was the wait time: the "Frozen" theme draws a crowd whereas I walked right onto the Viking ride every time before. If you are a huge fan of "Frozen" or have never been on the Viking boat ride, then a line less than one hour long is worth waiting in. If you are expecting something drastically new and different, don't wait in line. Whenever my dad and I visit China, or "China," we end up doing things we didn't plan to. In Beijing, we accidentally saw Mao's embalmed body. In Epcot's China, we accidentally watched a 13 minute 360-degree film about the country. China is one of many world showcase countries I've visited in real life since the last time I was at Epcot. It was neat to see reconstructions of real Chinese buildings I had seen recently in Epcot's showcase. One such building was the Temple of Heaven structure. In Beijing, the Temple of Heaven is a park with a circular structure surrounded by a concrete plaza. Many people take photos in the plaza but no one is allowed to enter the structure. You can look inside to see an altar but the entrance is locked. 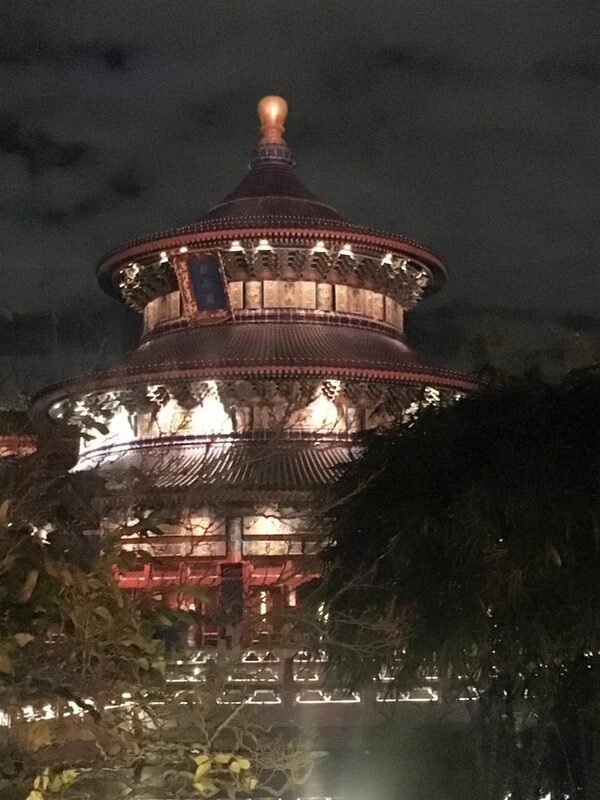 At Epcot, the Temple of Heaven structure is open. My dad and I walked in, passed the exhibits, and made our way through the building. We expected to find shops that we could walk through and exit on the other side. Instead, we ended up in a giant circular theatre. There were about 50 people already inside leaning on banisters in the center of the room. We soon realized what we had walked into, but not quickly enough. The exit doors started closing just as we were about to leave. We were stuck: we would be watching the film about China. When you go to Epcot, if you have a strong interest in China or a familiarity with the country you may want to watch the film. It is only 13 minutes long and the effects of being in a 360-degree theatre are pretty cool. It was also interesting to see Beijing represented in the film after having traveled there. However, if your intent for visiting Epcot is to enjoy the Disney-related elements, perhaps a documentary on a foreign country is not the best way to spend your time. My dad and I were hungry for lunch when we arrived at Japan's pavilion, even though it was only 11:00 AM. I heard that the restaurants on the second floor of Japan's pavilion were phenomenal and wanted to check them out. All dining reservations in Epcot that day were fully booked months in advance. Our only opportunity to try Japan's restaurants was to arrive when they opened. We were luckily immediately seated in Tokyo Dining at a table next to a window overlooking the World Showcase Lagoon. From our table, we could see each of the country pavilions and Future World. We could also see and hear the Japanese percussion show performed across the way on the Pagoda's platform. The food was good too! 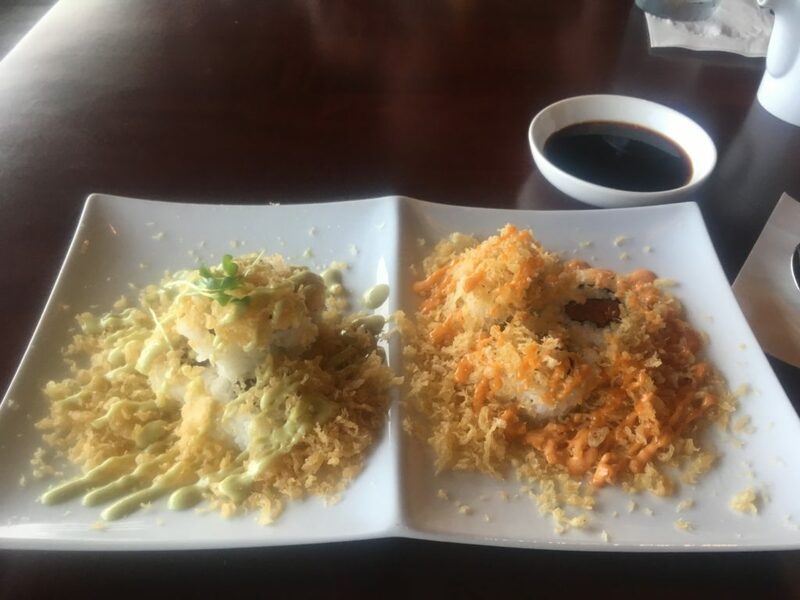 Not wanting a heavy meal, we each ordered a miso soup, followed by panko-crusted shrimp for my dad and a large spicy-crunchy maki roll for me. I would recommend either dish for lunch. The portions were large enough to fill us up for the rest of our day at the park. The final country I want to highlight for you is Morocco, though I recommend visiting all eleven country pavilions. I have not yet been to real Morocco so I cannot compare the pavilion to the country itself. Nevertheless, I feel confident in its authenticity. When the Kingdom of Morocco learned Epcot planned to include its country as a pavilion, it funded and oversaw the construction of the entire area. 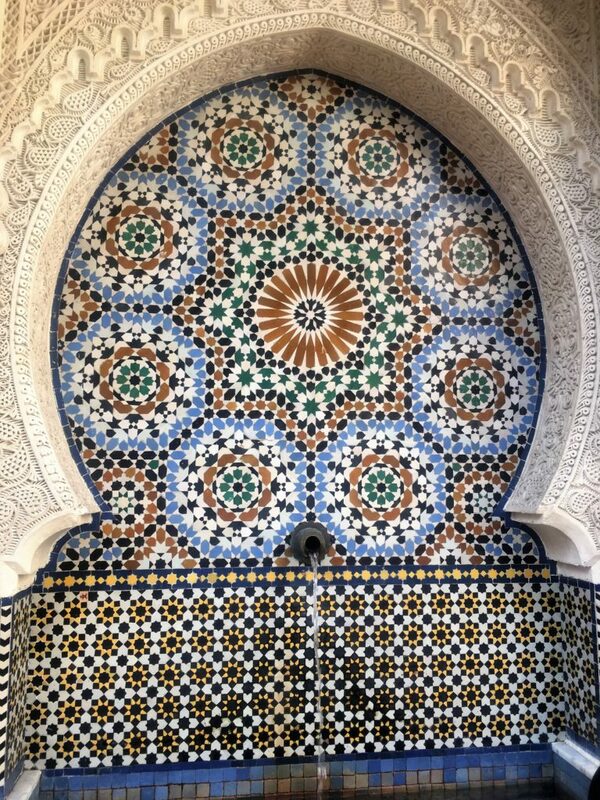 To this day, the Moroccan government pays for and oversees upkeep and restoration. The next time you visit Epcot, keep this in mind as you wonder at the mosaics and visit the souks in Morocco's pavilion. My best tip for Epcot is to use the International Gateway entrance and exit. Located between the France and England pavilions, and a short walk from the Disney Yacht Club Resort, this entrance is not well-known so few people use it. If you are using Disney transportation or taking a ride share, get dropped off at the Disney Yacht Club. Walk through the lobby to the beach and then go left up the path. Stay left as you go over the bridge and you will soon find yourself at Epcot's back entrance. There are ticket booths available if you need to purchase your park ticket. The best part: no lines! More important than a quick entrance is a less-crowded exit at the end of the night, which was especially important on New Years Eve! One of my only stressors for this vacation was how my dad and I were going to get back to our off-property hotel after midnight. I had heard horror stories about exiting the park through the main gate, hours-long waits to board Disney's monorail, and traffic jams that turned Google Maps from red to purple. This "secret" exit away from the park's main gate was one key in having an enjoyable end to the night. To avoid staying at Epcot for 15 hours and relying on the different fast food areas within the park for dinner (as there were no reservations available), my dad and I went back to the hotel for a few hours in the afternoon to enjoy the resort pool and then went to Disney Springs (formerly Downtown Disney) for dinner. Disney Springs was bustling at night! There were many people heading to dinner or settling in to enjoy the New Years festivities. Live bands were setting up on various stages for performances later in the evening. As we walked by some of the bands after dinner, it seemed like it would be a fun evening. I can only imagine what the midnight celebration was like! OpenTable's list of the 100 Most Scenic Restaurants in the USA included Disney Springs' The Boathouse. I did not realize the restaurant was part of the Disney complex at first when I saw the list. As I was considering where to make dinner reservations for New Years Eve, the recommendation on the list convinced me to make a reservation at this restaurant. I'm so glad I did! Not only did the reservations fill up entirely before we arrived in Orlando, but its scenic views were matched only by the quality of the food. Both were incredible! 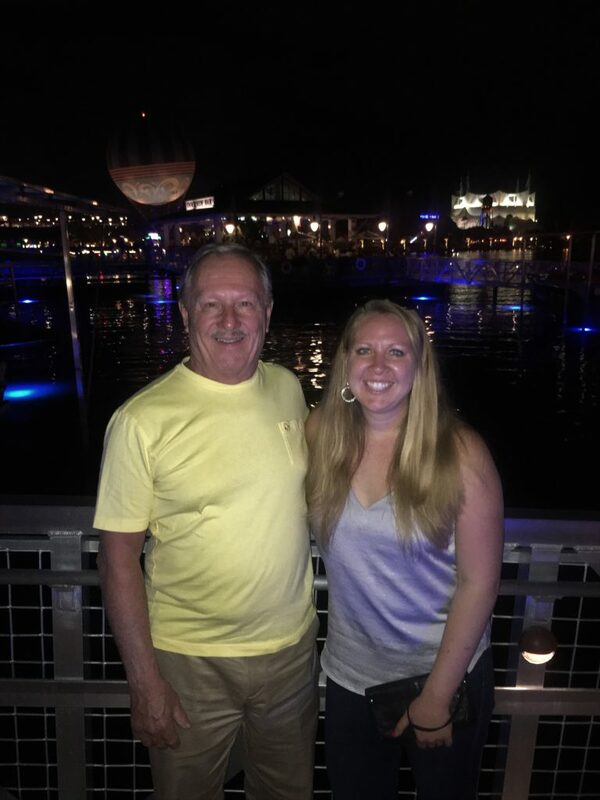 My dad and I sat at a table on a dock over the water. As a Northerner, this was my first time enjoying New Years Eve dinner outside, and in a tank top no less! As we were enjoying the fresh warm rolls covered in honey-butter, a car drove by. This caught my attention since we were surrounded by water. My dad was enthralled: he had not seen an amphicar in over half a century! Apparently these cars, similar to the duck boats, were a fad in the 1960s. They can drive on land but are also watertight with a propeller that allows them to function as boats. Rides were $125 for about 10 minutes so we did not take a ride, but it was fascinating to watch the cars float by as we were eating. After dinner we took a Disney bus back to Epcot for the New Years Eve festivities. 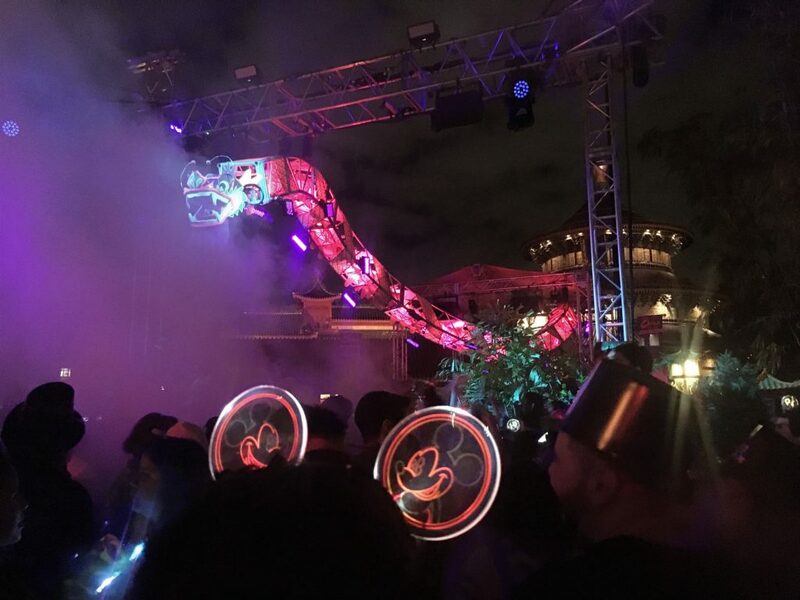 Using our newly-discovered secret entrance at the Yacht Club Resort, we were thrust into the party as we entered the park in the World Showcase. The world pavilions had transformed from quaint villages during the day to party scenes at night. England hosted a Queen cover band that led the crowd in a "Bohemian Rhapsody" singalong. Italy featured a DJ leading a proper European rave. When we snaked through this crowd I was immediately transported back to the clubs I encountered during my times studying abroad. The atmosphere was very authentic. China had a more varied musical selection. Its main attraction was a colorful electronic dragon that spewed steam and fire over the heads of the dancers. A live funk band played at America's stage. People were dancing in the area in front of stage while many more weary revelers rested their legs in the amphitheater seating while watching the entertainment. There were two dance parties at the entrance to Future World. One was a Silent Groove. Participants took headphones provided by the prak and listened to music played by the DJs. If you did not have headphones you could not hear the music or the DJ's commentary. I did not participate but it was fun watching for a while. My favorite dance party was the main party in front of Spaceship Earth. The DJ got into the groove playing the best music and feeling the crowd. After spending some time wandering around the world showcase, I loved watching this DJ in his element dancing to the music along with thousands of strangers. My dad and I stayed at the main dance party until 11:40 PM. We then went back to the World Showcase in search of champagne and a place to watch the special New Years Illuminations show. 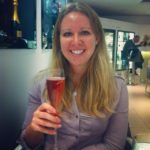 Of course the best champagne was in France. After making our purchases, we watched the Epcot globe light up the lagoon with pictures from around the world. At five minutes to midnight there was a special presentation for each World Showcase country that had already celebrated the New Year. Each country was recognized individually with fireworks shot off from its pavilion in the colors of the country's flag. The group of us watching from France cheered extra loud when it was France's turn! Disney timed the celebration perfectly: after going through the eight previous countries, we had a 10-second countdown for the USA, Mexico, and Canada. As midnight struck, the largest fireworks finale I've ever seen went off! It was an amazing New Years celebration. Ten minutes after midnight everyone headed for the park exits. My dad and I had strategically placed ourselves next to the International Gateway exit and left quickly with thousands of people. The night before, an Uber driver left us behind because I ordered the ride too quickly, anticipating traffic at Universal Studios' pick up. Hoping to avoid the same fate, I waited until we were back on the Yacht Club property to order an Uber. There were none available in the area! One driver finally accepted the ride only to cancel when he saw we were 20 minutes away. Our brilliant exit strategy was failing. I had not accounted for the supply and demand problem with ride shares just after midnight on New Years Eve. We also weren't the only ones who planned to make our exit by Uber from the Disney Yacht Club. About 50 other people were also waiting in front of the hotel for rides. I was exhausted from two days of constant walking and was getting deflated about our chances for getting home at a reasonable time. I looked to the curb for a space to sit down. I must have looked pretty weary because a man offered me his curb seat, insisting he would rather stand anyway. After sitting I explained the Uber situation to my dad. The now-standing man's wife, who was sitting next to me, asked in which direction we were headed. I named our hotel, not knowing in which direction it was. The couple immediately offered to share their Uber with us! The woman had ordered an Uber about twenty minutes prior on the walk from the park and their ride was almost at the resort. I assumed their hotel was near ours. Considering that our chances of getting a ride in the next few hours were almost nothing, my dad and I took the couple up on their offer. Due to a few international glitches (her Canadian Uber and Venmo apps would not recognize my American phone number), we had to pay the couple in cash for our part of the ride. I'm hoping our contribution was sufficient because the couple was staying about 5 minutes away, just outside Disney park limits, whereas my dad and I rode in the Uber for another twenty minutes. Without a communication method, though, I had no way of knowing. As the couple left the Uber, I thanked them profusely (again). They said they were just building karma for the New Year and were happy to help. I can only imagine how long we would have been stranded at the Disney Yacht Club Resort had these kind strangers not offered to share their ride with us. Though I've tried, I have no way of getting in touch with the couple again. The woman, Maureen, gave me her business card in case anything went wrong during the rest of the Uber ride. I am posting her business website here as a small thank you: if you have the ability and interest in patronizing her, please do so! Magnolia and Vine - Maureen's website. Overall the trip was a success! 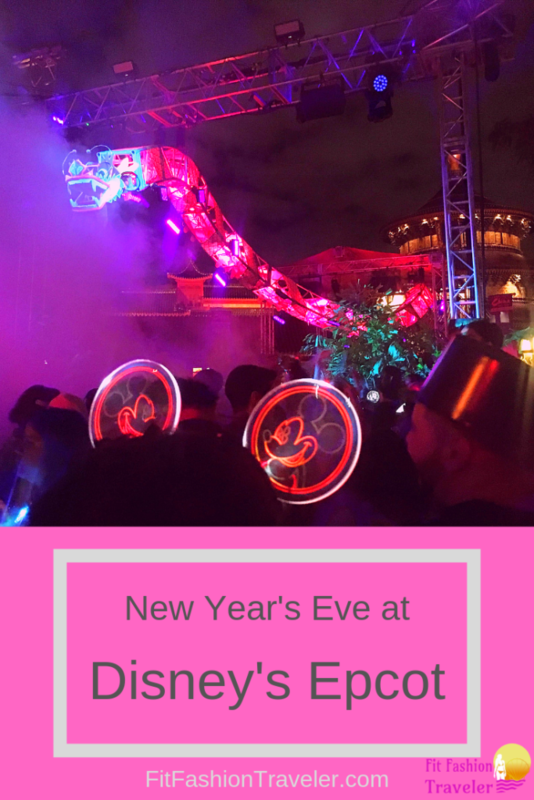 I had a great time and would definitely visit Orlando for New Years Eve weekend again. 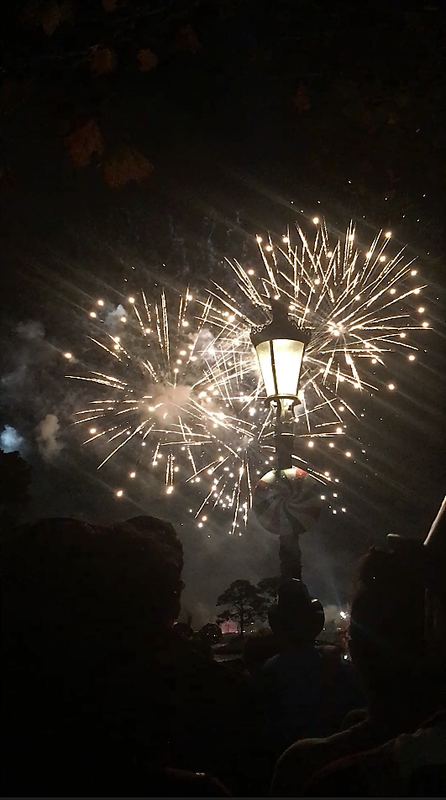 I would reconsider being in a park at midnight as I think the celebration at Disney Springs would have been just as good, but I loved every second of the vacation. Thanks for sharing a detailed account of your adventure. Glad you know have wonderful memories of your time. 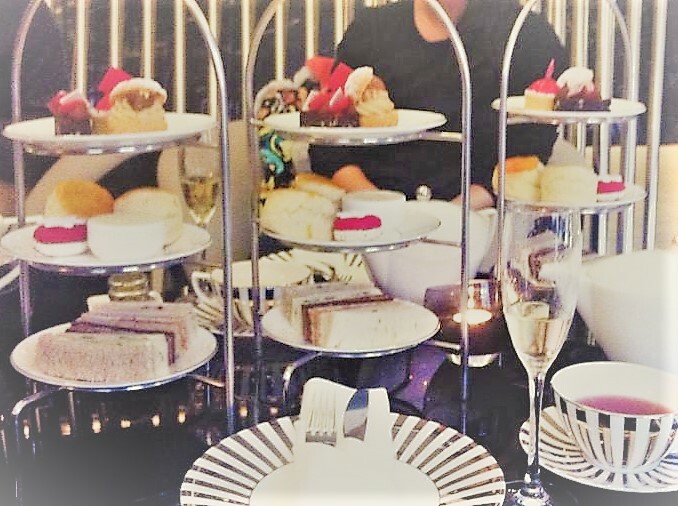 What a great idea for New Year’s Eve! The Boathouse Restaurant looks fabulous and I’m totally with you on the France pavilion for the champagne at midnight. I’m checking out Maureen’s website to keep the karma going for the new year. Thank you! I would check out the Boathouse Restaurant year-round if you are ever in the area! 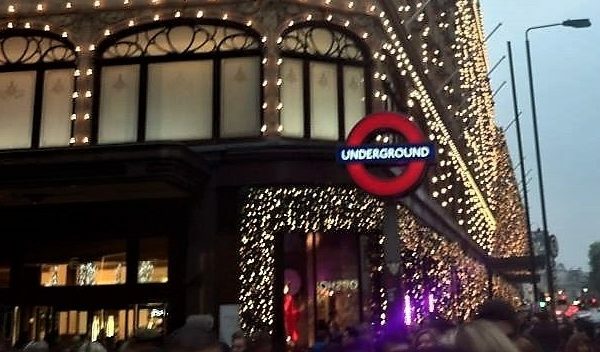 What a fun place to celebrate New Years Eve! I had no idea they had a Frozen ride. But it’s a bummer that it’s not much different from the previous one there. It was great! For anyone who has never been on the previous viking ride and likes the Frozen franchise the ride is still worthwhile! I last (and only) went to Epcot over 20 years ago, when I was quite young, and I’m sure it’s changed utterly. But still, they had that 360-degree movie on China even back then. I hope they’ve updated it since that time! I remember eating drunken chicken in their restaurant afterwards for lunch. Although I’m sure that real travelers are supposed to distain Epcot’s fake countries, I think they are much fun, and the food there really is grand. I’d recommend France (perhaps an obvious choice) for dinner. 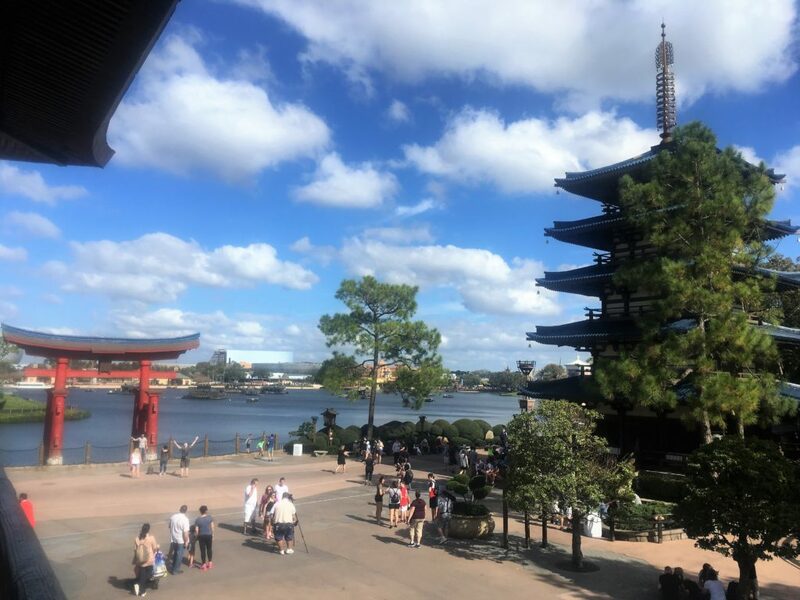 I feel like Epcot may be one of those timeless Disney parks, where they make one or two changes or additions each year but keep a lot of the older attractions too (like the 360 China video – it’s quite possible the video itself is 20 years old!). This post is so great. 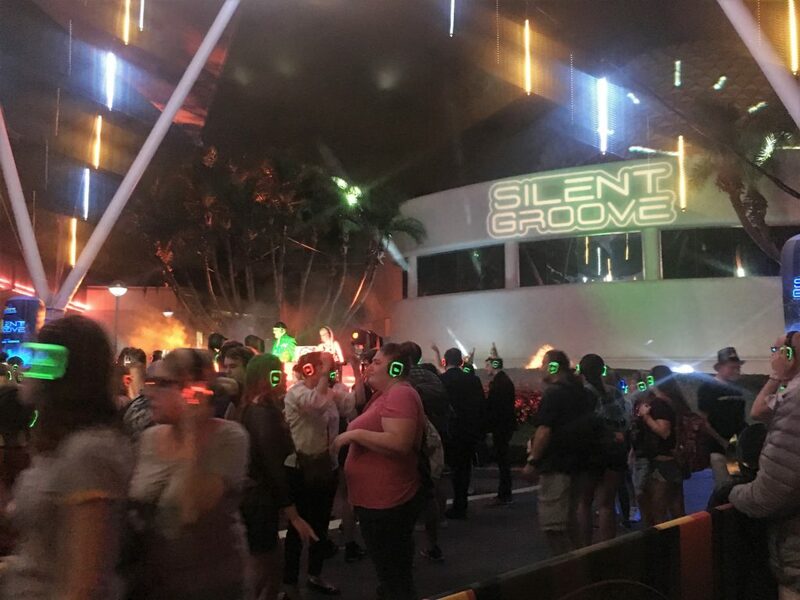 I laughed so hard at the silent groove picture. How strange and funny it must have been to see people dancing and all you hear is silence. What a unique NYE experience and the champagne in France makes sense, of course! Glad to hear there were some friendly strangers around. That’s the case a lot of the times when traveling! Thank you! Yes I still think about how fortunate I was meeting the strangers at the end of the night who helped with the Uber! Looks like you had tons of fun sampling all the different food. Moroccan food tempts me the most out of all these. Which cuisine would you repeat if you had the chance? It’s one of my favorite parts of Epcot! 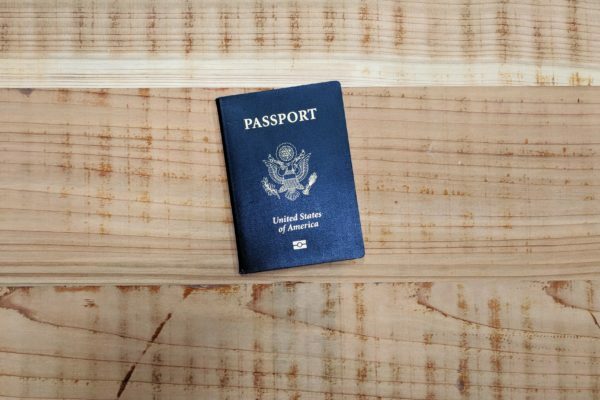 Based on all my previous experiences there (it’s hard to eat at every country in just one day! ), I would definitely go back to the restaurant in “France.” Being the best restaurant in the park, it’s almost impossible to get same-day reservations, so a repeat visit will take some planning there! What a fun way to spend New Year’s eve! You get to “visit” so many different nations and try their food within having to fly! I think Miniature Cities is a really cool concept 🙂 Which was your favourite? I was very impressed with Morocco! I’m not sure whether my interest in the country itself has increased during my last visit to Epcot or if they’ve made improvements to the pavilion itself that piqued my interest, but I thought the mosaics and souks were so cool this time! I’ve never actually been to a Disney Park, but I love reading (and hearing) how they can give you a real taste of the world. It’s good for people to whet their appetite and draw inspiration of places they might like to travel to, at least one day. It’s amazing how helpful people can be at the moment of crisis and I’m glad to hear the couple helped you out. Thanks, a great read. Thank you! I know the Disney Parks may not be as intriguing as all the real countries and cities available to visit around the world, but there truly is something magical about seeing the Disney Castle with your own eyes and experiencing an entire world’s worth of cities in one day at Epcot. If you ever have the chance to visit Disney, I would take it! You’re welcome! Conversely, despite how many times I’ve been to Disney World I haven’t had a chance to visit Disneyland yet. It’s definitely on my list if I’m in the area, though! Holy smokes – a 4-hour wait for a ride?! I hope everyone who stood in line for that enjoyed it! I’ve only been to Epcot once many years ago but really enjoyed seeing all of the different countries represented. It sounds like their NYE celebration was a lot of fun! I’m so glad you found a ride back to the hotel, after a long day all I’d want to do would be to just go back to my room! What a lovely couple to share their Uber! Thank you! I completely agree: it would need to be the ride of a lifetime for me to wait four hours in line in the hot Florida sun!